Welcome to our idyllic one-storey holiday cottage, Tucking Mill View. 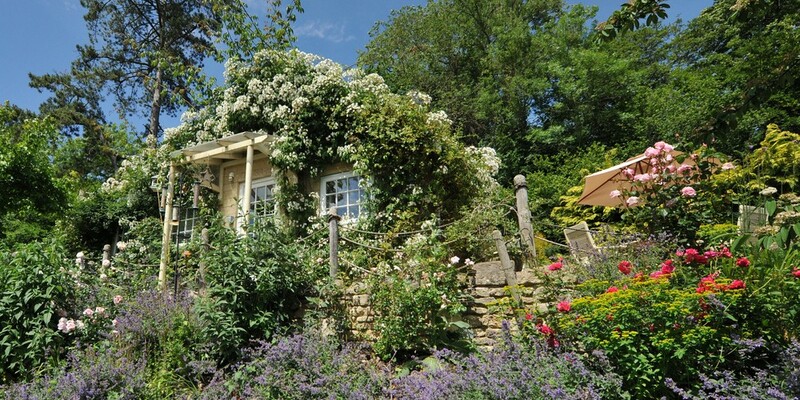 You’re moments away from booking your escape to the Midford Valley, an Area of Outstanding Natural Beauty in Bath,Somerset, where you’ll find our gorgeous cottage retreat. Situated in the Midford Valley’s tiny, tranquil hamlet of Tucking Mill, our cottage balances the comfort of a luxurious and cosy open plan interior with a breathtaking rural setting just outside Bath. Whether you’re booking a long weekend away or a fortnight of blissful relaxation, Tucking Mill View’s beautiful setting is guaranteed to help you unwind. 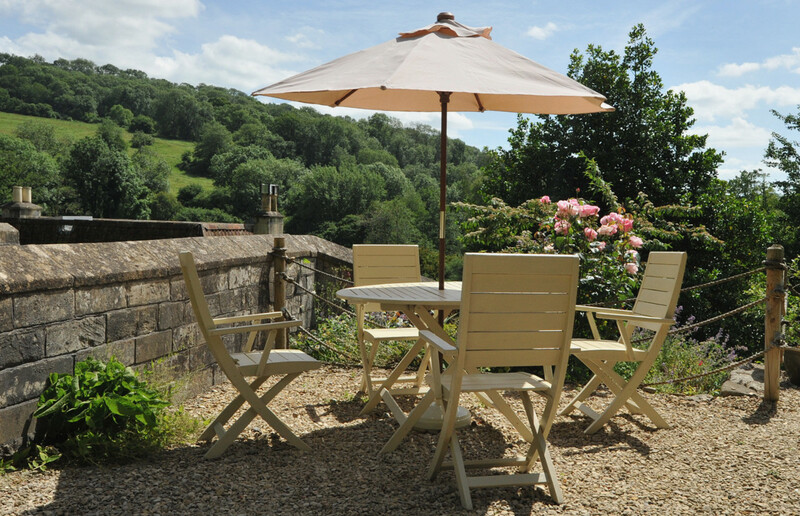 From your private terrace you can while away the hours of a sunny afternoon, taking in the views across the valley, or retire indoors to the cosy sofas and throws, electric stove and a good book or a bit of telly. In the king-size master bedroom we wrap the 1200 pocket sprung mattress bed in soft, luxury Egyptian cotton linen, so you can be sure you’ll enjoy a good night’s sleep. Fulfil your love of the country and indulge in a sense of adventure with an array of walks, cycle routes and classic English pubs on your doorstep. 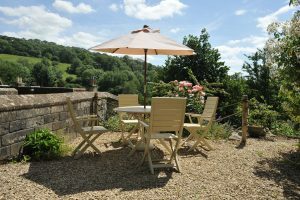 Whether you’re cycling along the Sustrans 24 route, passing through the Two Tunnels Greenway shared use path, trekking around the gorgeous reservoir and valley walks, or simply taking a trip to the local pubs in Monkton Combe and Midford for some award-winning pub grub, Tucking Mill View has it all. Local horseriding, fishing and boating along the canal are also popular with our guests. 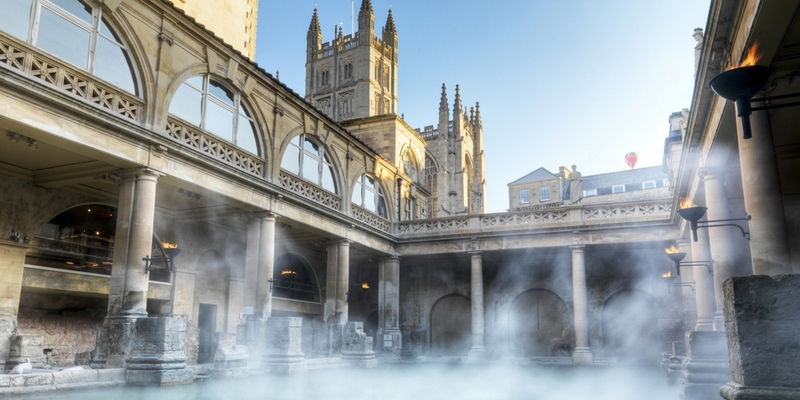 Beyond our tranquil hamlet is the UNESCO World Heritage City of Bath, just 10 minutes’ drive away, and Bristol and the Cotswolds are just a little way beyond that. 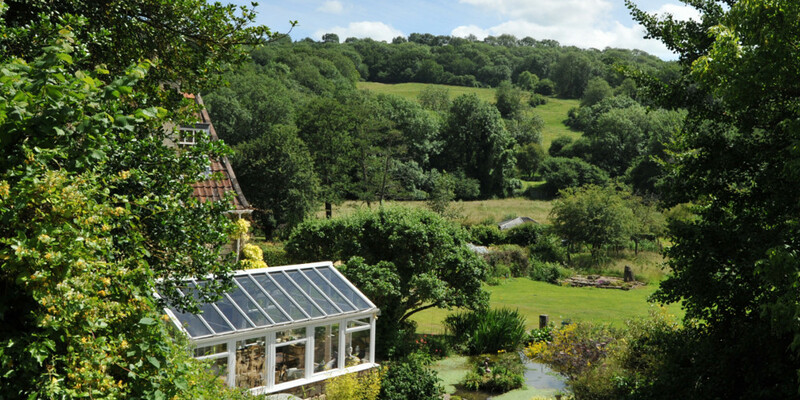 We’re not far from the M4 if you want to explore the attractions of the Great West Way, or you could drive west to the beautiful Mendips, and south to Longleat, Frome and Shepton Mallet. Ann, Michael, Nikki, Rob & Ben. 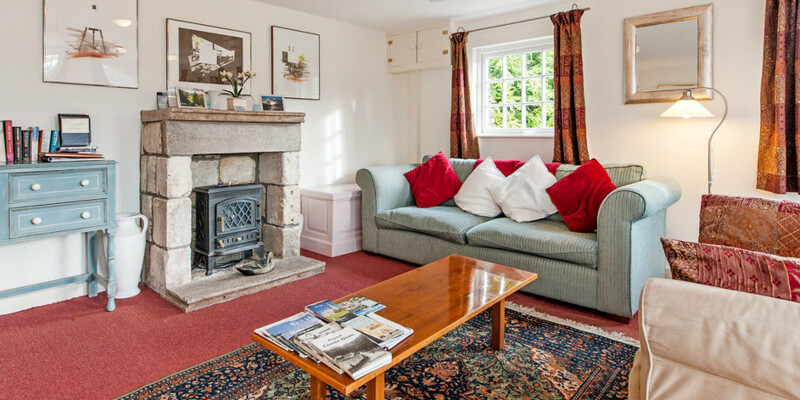 Take a look around the interior of our award-winning luxury cottage before you book. The beautifully-appointed master bedroom features a luxury 1200 pocket sprung king-sized bed, dressed with Egyptian cotton bed linen. Comfortable and cosy, the bed guarantees you a good night’s sleep. There is a large wardrobe and a vanity dresser. 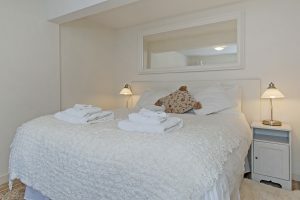 The View has a newly renovated bathroom with a large walk-in shower, heated towel rails with fresh Egyptian cotton towels, and WC facilities. The living, dining and kitchen area are in one south-facing open plan room, taking advantage of those gorgeous views across the Midford Valley. 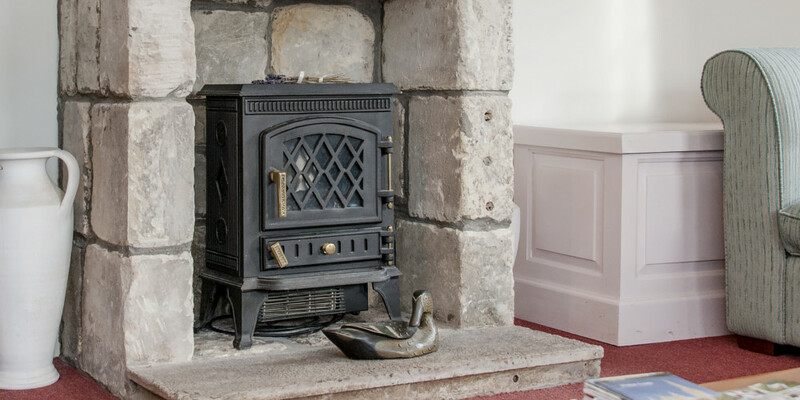 Comfy sofas and throws are ideal to kick-back in after a day of exploring or a trip to Bath, with your own electric stove to power up and keep cosy in the evenings. There’s a flat screen TV, iPod dock and DVD player for when you fancy a good film or a dance around the room. 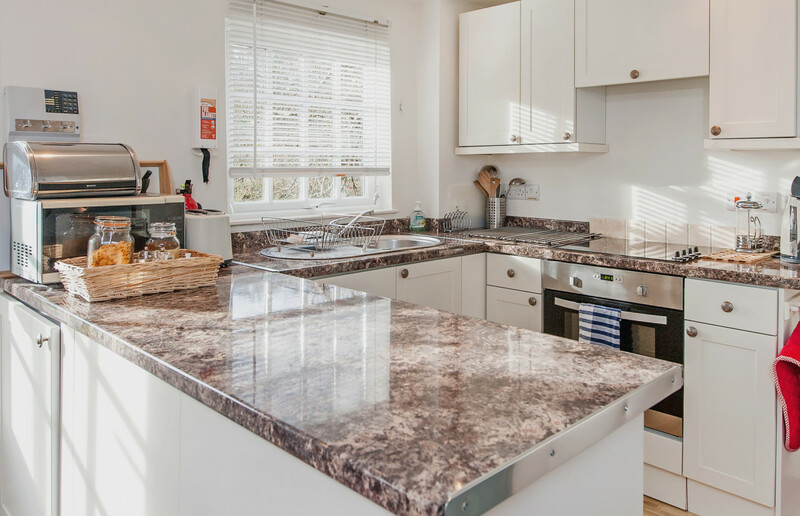 The fully-equipped contemporary kitchen has everything you’ll need for your stay, with the adjacent dining space sitting four guests. 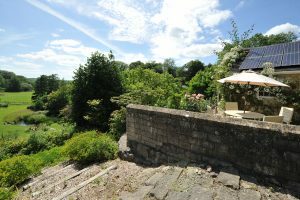 Enjoy whiling away the hours on your south-facing private terrace, which overlooks the stunning views of the Midford Valley, an Area of Outstanding Natural Beauty. 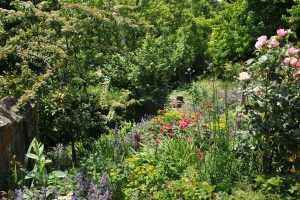 The area is peaceful and perfect for relaxing when the sun’s shining. 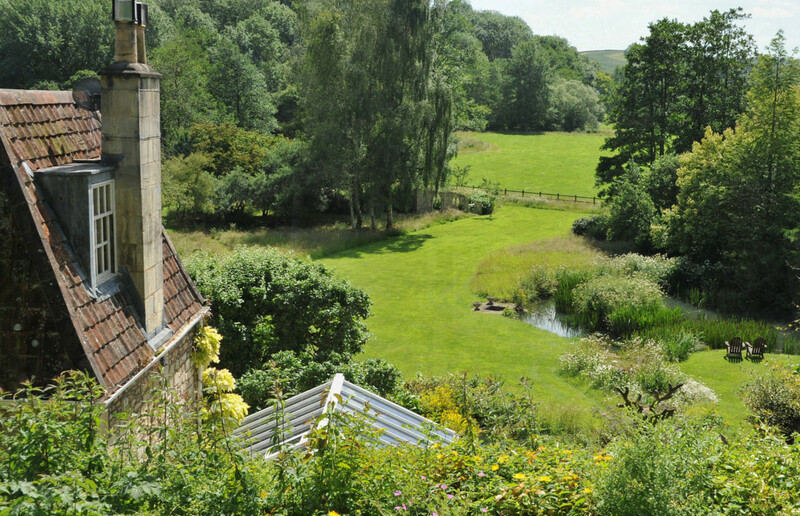 The View is located just 10 minutes’ drive from Bath along the A36. The narrow lane to the hamlet of Tucking Mill curves around a bend opposite the local reservoir. Opposite is the back of the View and a private parking are reserved for up to two cars. This area is for you to use exclusively during your stay! Just opposite the View is the Tucking Mill Reservoir, with a country walk up to Combe Down trailing off to the right and steps up to the Two Tunnels shared path on the left. Two local pubs, the Wheelwright Arms in Monkton Combe and the Hope & Anchor in Midford, serve home-cooked food daily. There are also plentiful walks around the Valley and fishing opportunities along the Midford Brook, which runs near the View. 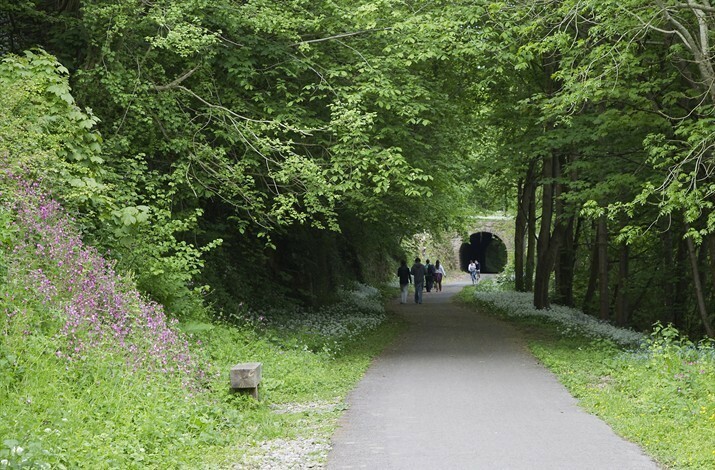 The Two Tunnels Greenway shared use path is right on your doorstep and makes up part of the cycle route, Sustrans 24. The route runs through Bath, Radstock, Frome, Warminster and Salisbury to join route 23 in Hampshire. We have spent some time putting together a few of our favourite local walks in your welcome pack guide to the area. 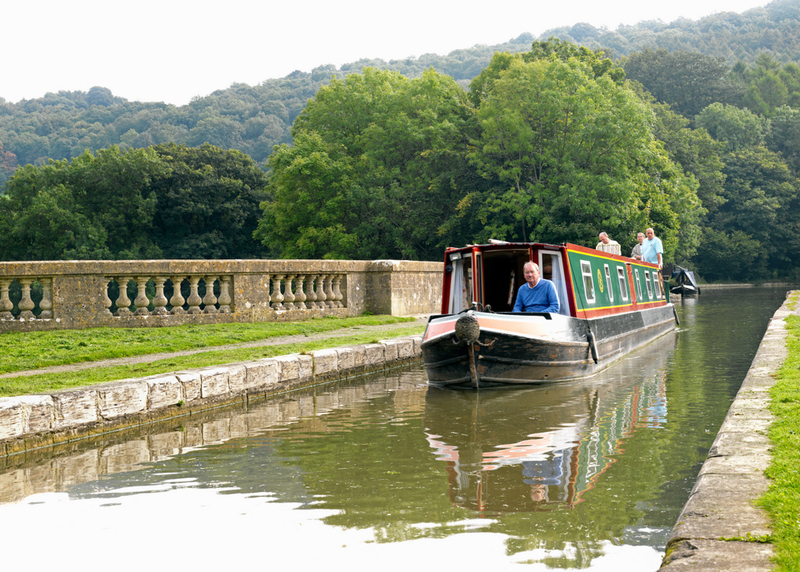 There are also several that start at Monkton Combe, the neighbouring village, and the lovely canalside route from the Dundas Aqueduct into Bath or towards Avoncliffe and the Saxon town of Bradford on Avon. We have a special partnership with the Avon and Tributaries Angling Association (ATAA) to offer day tickets to fish on their waters for £30. Enjoy trout fishing along the beautiful Midford, Cam and Wellow Brooks, as well as coarse fishing on the Bristol Avon, the Somerset Frome and downstream of the weir at Monkton Combe on the Midford Brook. Other local activities include horseriding, archery, tennis and more, which are also mentioned in your welcome guide. 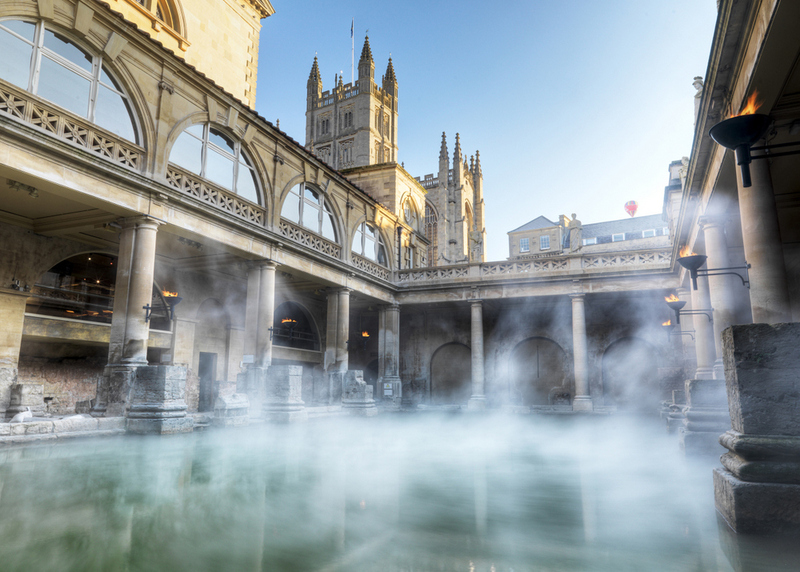 The UNESCO World Heritage City of Bath is one of the UK’s leading tourist destinations. For us, we love visiting Bath for the array of quality restaurants and sightseeing. There’s a rich history to explore in Bath and it’s only 10 minutes’ drive from our tranquil setting at Tucking Mill. Regular festivals, including the Bath Christmas Market and Bath Literary Festival, are among some of the events that guarantee there’s always something to do and see in Bath! We’re lucky enough to be situated in an area with excellent access to many of the South West’s finest destinations. Day trips can include a short drive up to Bristol to explore the buzzing city life, or ventures to the breathtaking Cheddar Gorge or Cotswolds. Lacock Village, popularised by shows like Downton Abbey, is also a popular day trip. StoneHenge and Longleat are further down the A36, while the gorgeous Bowood estate is just a half hour’s drive. Known as the “father of English geology”, William Smith lived across the way in the hamlet of Tucking Mill. Smith is credited with creating the first nationwide geological map and collating the geological history of England and Wales into a single record. From 1798 to 1810, Smith lived and explored the Midford Valley and enjoyed the beautiful English countryside around him. Making your stay extra special. We love welcoming our guests in style. 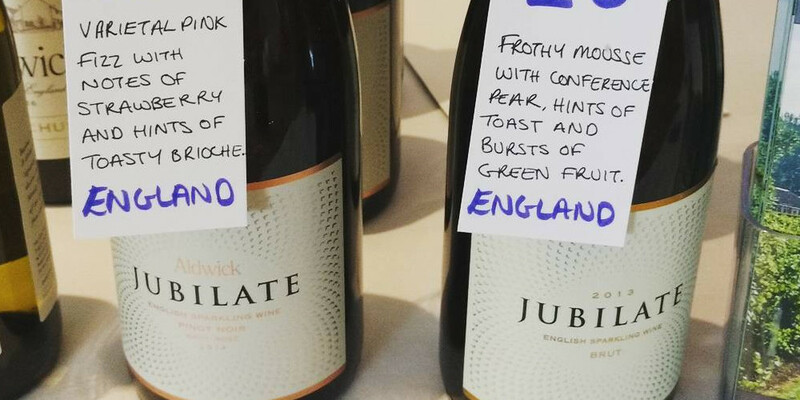 Awaiting your arrival is our hamper of goodies, including a chilled bottle of Aldwick Sparkling Jubilate Rose in your fridge, a premium English fizz produced in Somerset near the Mendips. Alongside the fizz you’ll discover a cheeseboard for two with a selection sourced from Nibbles, Bath’s oldest cheesemonger. There’s sherry and chocolates for the sweeter tooth traveller, too. The nicest thing about self-catering holidays is the freedom to enjoy it as your home away from home. However, no-one wants to think about food shopping when they first arrive on holiday so we’ve taken care of your first morning’s spread for you. 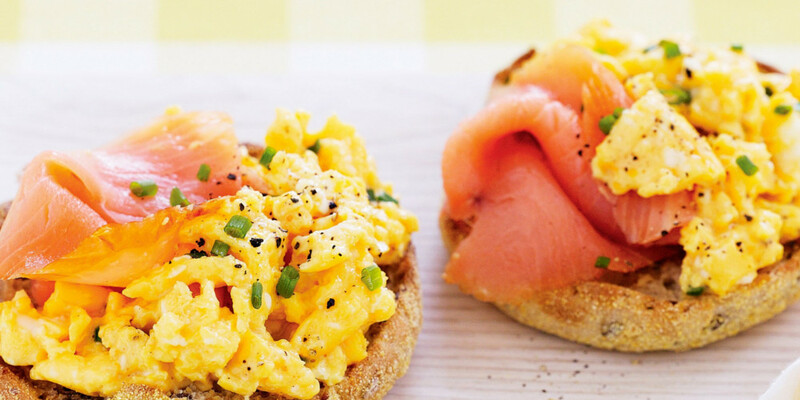 A continental-style selection of fresh croissants, smoked salmon, eggs, jam, tea and milk will be available to tuck into after rolling out of your comfy bed. 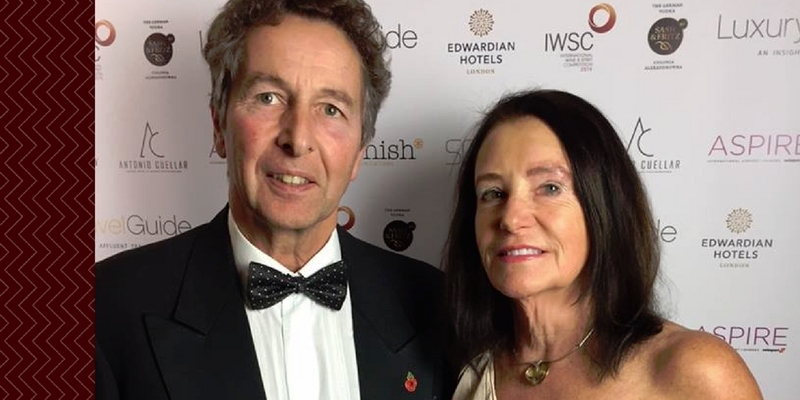 Our family business has curated a list of things to do, see and explore while you’re in Bath, as well as a selection of our favourite restaurants and bars. It’s there to give you a little inspiration for your holiday should you need it! 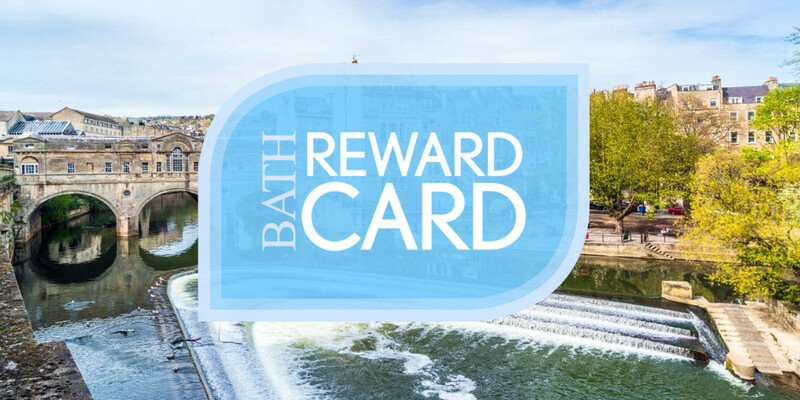 We also give you the Bath Reward Card, giving you exclusive deals at places like the Thermae Spa, the Roman Baths and selected restaurants across Bath. View the full list of offers here. 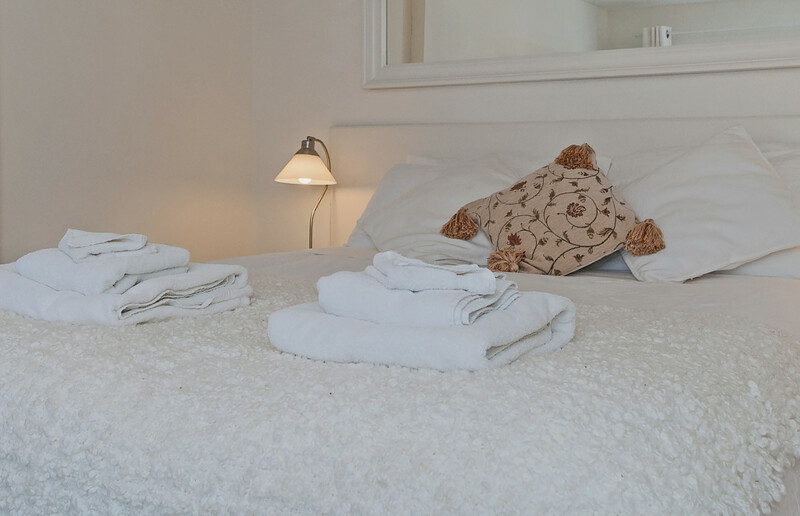 All our linen and towels in Tucking Mill View are 100% Egyptian cotton. 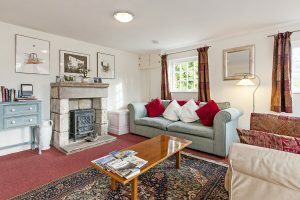 In the living area is a cosy electric stove and comfy sofas and throws. The king-size bed in the master bedroom has a 1200 pocket sprung mattress for your guaranteed good night’s sleep. 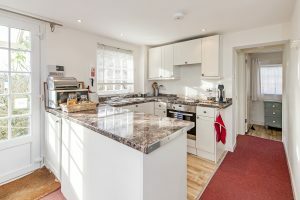 You’ll also enjoy a flat-screen TV with DVD player, free WiFi throughout and free parking for two cars located directly outside the property on a private drive. 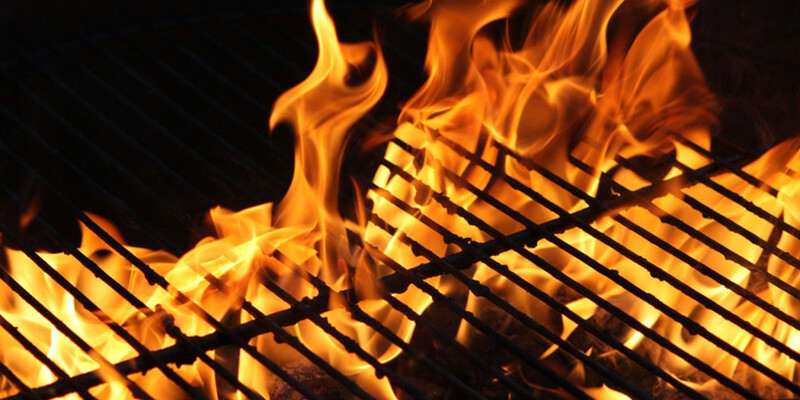 On your private terrace are disposable BBQ facilities, so you can enjoy the weather and kick back with a BBQ-style picnic and your favourite tipple while soaking in the stunning views across Midford Valley. 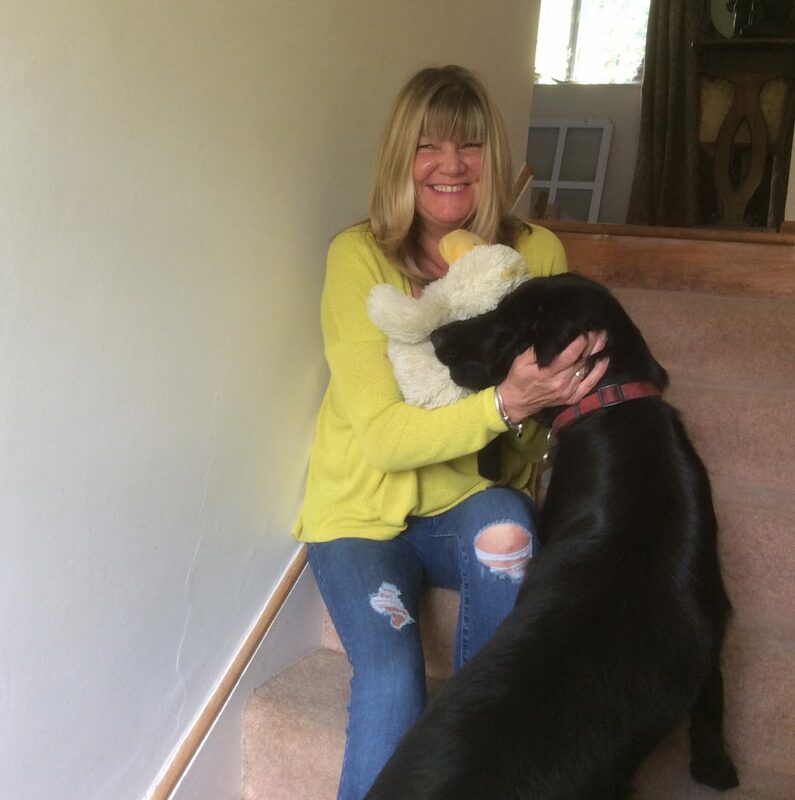 You can call Ann, the owner, on: +44(0)7900570037 or try Nikki (pictured left with Ann’s dog Tilly), our housekeeper, on +44(0)7762191161. If possible, please call between 9am and 6pm. By Car: From London, use the M4 motorway and take Junction 18 for Bath, following the A4 into Bath. From Bath, the easiest way to Tucking Mill View is via the Warminster Road A36, turning right at the base of Brassknocker Hill, making your way through the village of Monkton Combe to Tucking Mill Lane and the tranquil hamlet of Tucking Mill where you will find the View on the left, clearly sign-posted. Please note the lane is narrow. Visitors from the south-west of Bath should take the A36 towards Bath, turning left at Brassknocker Hill as above. From Bristol Airport, use the B roads via the A368 towards Midford. By Public Transport: There are two bus services, the 267 to Frome via Midford from Bath city centre, or the First no. 3 bus, which takes you into Combe Down. Both require a little walk through the country to reach our hamlet. For this reason, visitors with luggage should take a taxi from the city centre, which will cost around £15. From Bristol Airport, take the Airport bus to Bath and change to a taxi from the bus station to Tucking Mill View. Parking: There is free, on-site parking in a private drive directly outside the cottage for up to two cars. Enjoy award-winning luxury accommodation in Bath, great for holidays, business travel and romantic getaways. 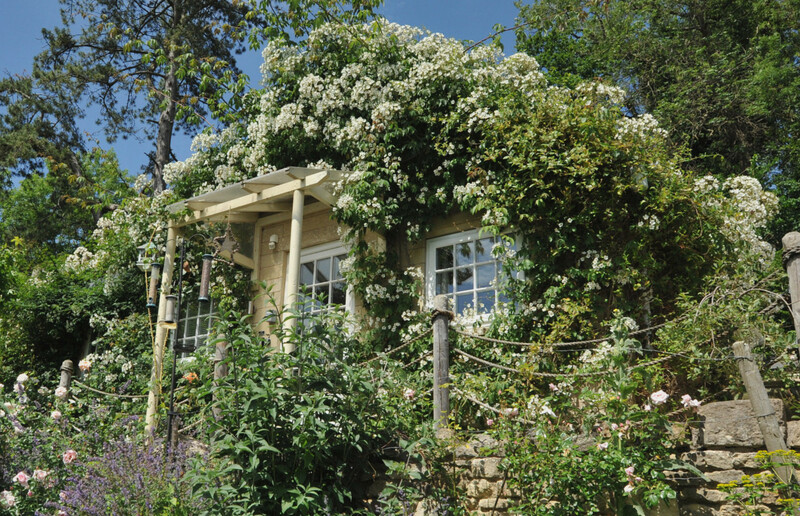 We can’t wait to welcome you to Tucking Mill View, our gorgeous cottage retreat. © 2017 Tucking Mill Self-Catering, Midford, Bath BA2 7DB.